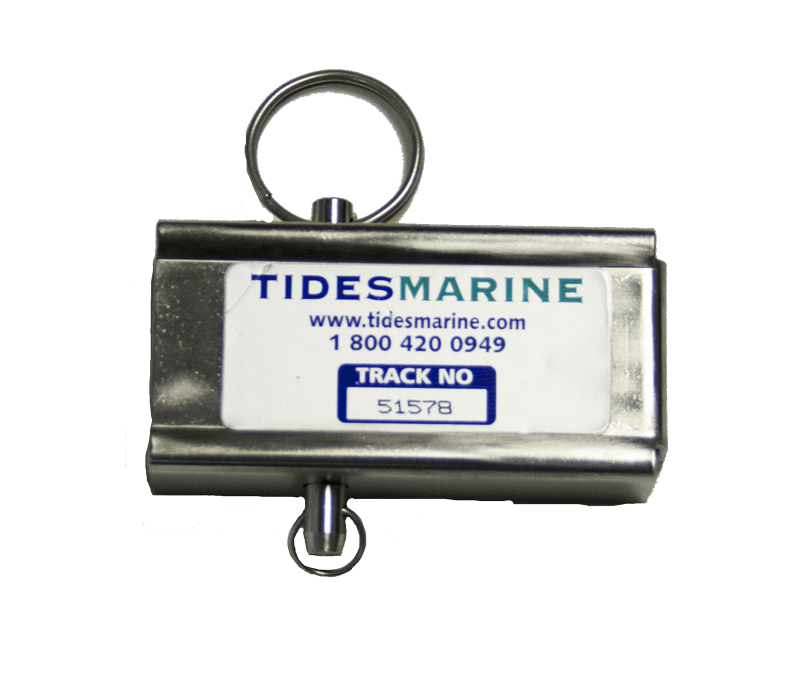 The Mast Gate Cover is a small stainless steel rectangle that covers the bottom of the Tides SailTrack. It comes with the clevis pin and rings. You may purchase the Mast Gate Cover online. 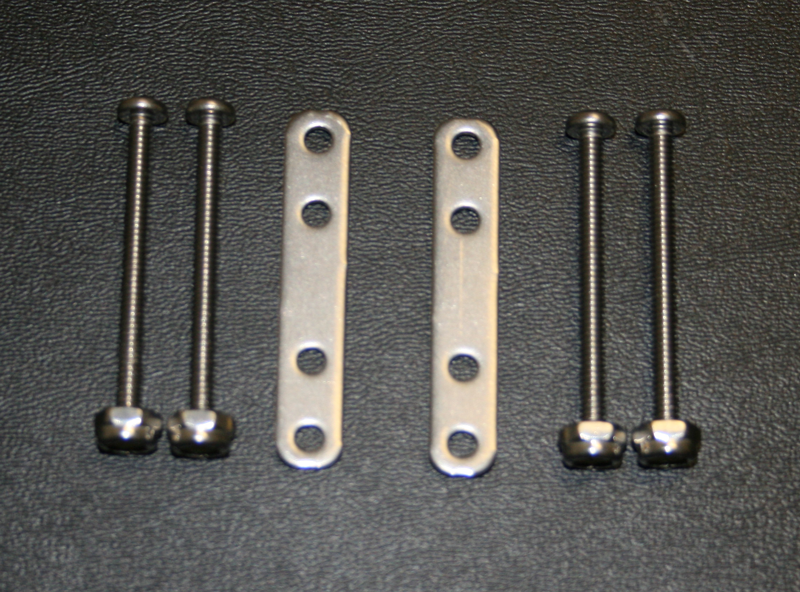 The Connector Kit consists of 2 stainless steel plates with 4 holes, 4 stainless steel screws and 4 stainless steel lock nuts. They are used to connect 2 pieces of SailTrack. Use the Stainless Steel plates as your template for drilling your holes in the SailTrack. Using a 9/64" drill bit. Use caution that you drill straight through the SailTrack and not into the slide channel. Install one plate using the screws provided onto one side of the SailTrack and then slide the 2nd plate over the screws. Install the lock nuts onto the screws and tighten. Do not OVER TIGHTEN the lock nuts as this may squeeze the track and cause the slide to hang at that spot in the SailTrack. You may purchase the Connector Kit online. 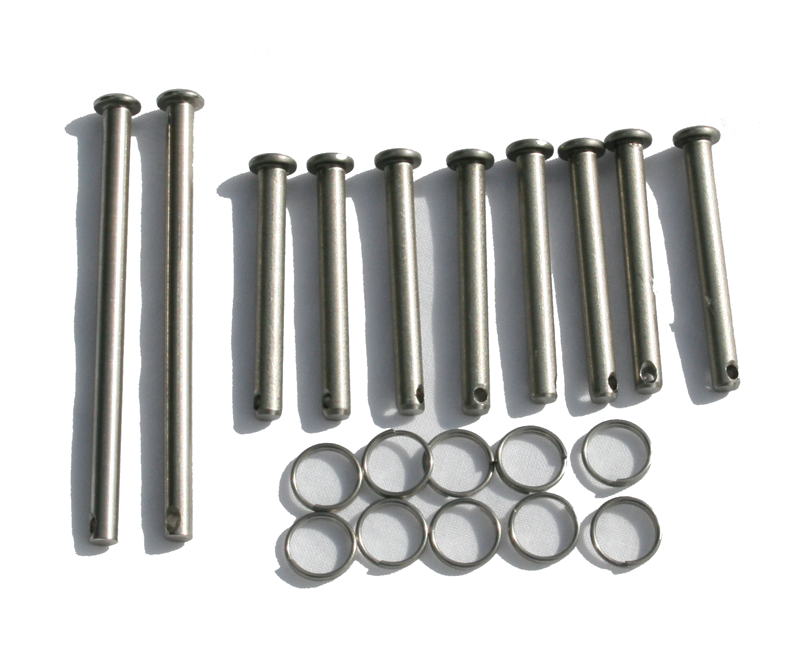 The Slide Pin Kit consists of 2 stainless steel pins and rings for the 3" Headboard slide (SH-500 SS) and 8 stainless steel pins and rings for the SH-401 SS or SH-600 SS slides. You may purchase the Slide Pin Kit online.